Do you know a special someone or a particular business that has gone over and above the call of duty to better our community? Does a certain name always pop into your head when you think of service excellence or community spirit? If so, then this is your opportunity to show that person or business that their good deeds have not gone unnoticed. Both the Leduc Regional Chamber of Commerce and the City of Leduc are looking for names of members of our community to be nominated to receive awards of recognition for their outstanding service. The Chamber's Annual Gala is to be held on February 23rd, with this year's theme being "Fire And Ice". They are asking everyone to nominate the "hottest businesses and coolest entrepreneurs" that they know, in one of the six categories available. The criteria for nomination is that the business must be Alberta owned and operated, have a current regional business license, and be a member of good standing in the Leduc Regional Chamber of Commerce. The Business of the Year Award, sponsored by the Leduc Rep, is an award to honour a business that exhibits outstanding achievement and leadership in the region, and demonstrates ongoing and consistent involvement in business and community events. The Small Business of the Year Award, sponsored by AltaGas Utilities, is designed to recognize businesses with 1-10 employees that display dedication, innovation and outstanding spirit and success within our community. The Farm Business of the Year Award, sponsored by the Leduc Co-op, recognizes excellence across all agricultural sectors. Nominees in this category must reside within Leduc County and be actively farming in such a manner that agriculture is their major source of income. The Business Start-Up of the Year Award honours local business owners that have entered the business world less than three years ago. It will be awarded to the business that shows the best potential for growth, exhibits a high level of social, cultural and environmental awareness, and engages in continuous learning or other improvement opportunities. The Service Excellence Award, sponsored by Sobey's Leduc, acknowledges frontline personnel that work in the field of customer service, and continually display congeniality, enthusiasm and helpfulness, and exceed service expectations. The Young Business Leadership Award, sponsored by Canadian Tire Leduc, is a category that recognizes the leadership potential of young men and women under 30 years of age, who have achieved significant accomplishments and show potential for continued leadership growth. Business owners are encouraged to nominate employees who have shown promise and abilities in this category. Some of last year's winners included Blackjacks Roadhouse as Business of the Year, Cae-Morgan Farms as Farm business of the Year, Cathy Wagner from Risqué Lingerie and Swimwear won the Service Excellence Award, and Tyson Parker who puts on the STARS Commitment To Life Gala every year won the Young Business Leadership Award. Nominations must be in by January 15th, and you can call or email the Leduc Regional Chamber of Commerce with your nominations. However, the Chamber isn't the only one looking to honour exceptional people in our community. 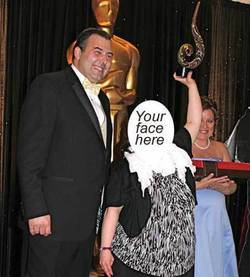 The City of Leduc is also searching for names of residents to be nominated for the Citizen of Distinction Awards. These awards are designed to recognize outstanding citizens, groups, organizations or businesses that have brought credit to the City of Leduc. The criteria for these awards is that current or former residents are eligible for nomination, but nominees must have been Leduc residents, or in the case of groups, teams or businesses, in operation, for a minimum of three years. City employees are not eligible for this award. Five categories exist for public nominations, with a sixth being the Mayor's Special Award, which is decided upon by the Mayor himself, for an individual or group deserving of special recognition. The Athletic Achievement Award is given to a citizen, group or team that have distinguished themselves in an athletic manner. Nominations are accepted for those who have placed first, second or third at Provincial level competitions, or for competition at national or international levels. In this category non-resident teams can be nominated as long as they train primarily in Leduc. The Community Spirit Award is given to an individual or group from Leduc that has contributed, enhanced and had a positive impact on numerous members of the community. The Culture and Heritage Recognition Award is awarded to a citizen or group that has distinguished themselves and/or contributed significantly to the culture, arts and heritage of Leduc. The Environmental Award is given to a citizen or group that has contributed to the support, conservation, protection and enhancement of the environment. The winner of this award will demonstrate a commitment to the environment by producing measurable positive changes in pursuit of solutions to long term environmental issues in areas such as recycling, waste reduction, pollution reduction, and education. The Youth Award of Merit is designed to recognize and promote youth involvement and contribution to the community. Nominees must be under 21 years of age at the time of nomination, and athletic, academic, cultural, and economic achievements will be considered. Some of last year's winners were Florence Lede for the Community Spirit Award, Tyler Smith for the Athletic Achievement Award, and Ron Roesch for the Environmental Award. The award ceremonies take place in April so all nominations must be in for consideration by the beginning of March. Nomination forms can be found on the City of Leduc website or by requesting a copy in person at the Civic Centre. So come on Leduc! We have a multitude of amazing people and businesses around town that deserve a little recognition for work well done. This is your chance to let them know just how special they are and that their hard work has not gone unnoticed. It only takes a minute or two to make a phone call or fill out a form, and then you can have the knowledge that you too have helped to make Leduc and area the great place it is to live and play!